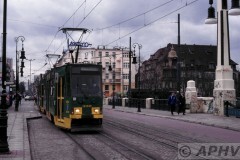 Lodz to Ozorkov line46 some 500 meters from the terminus on the just started south bound trip to the city. 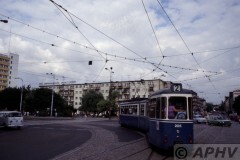 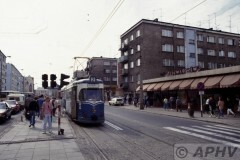 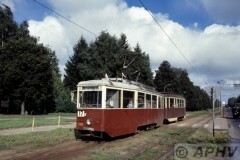 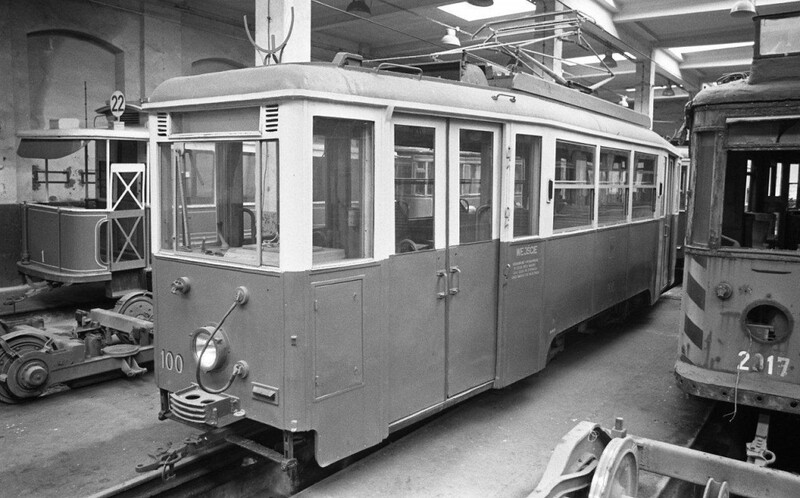 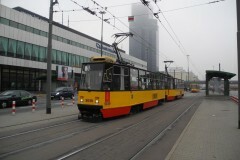 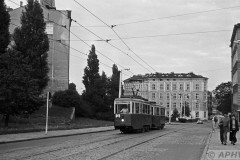 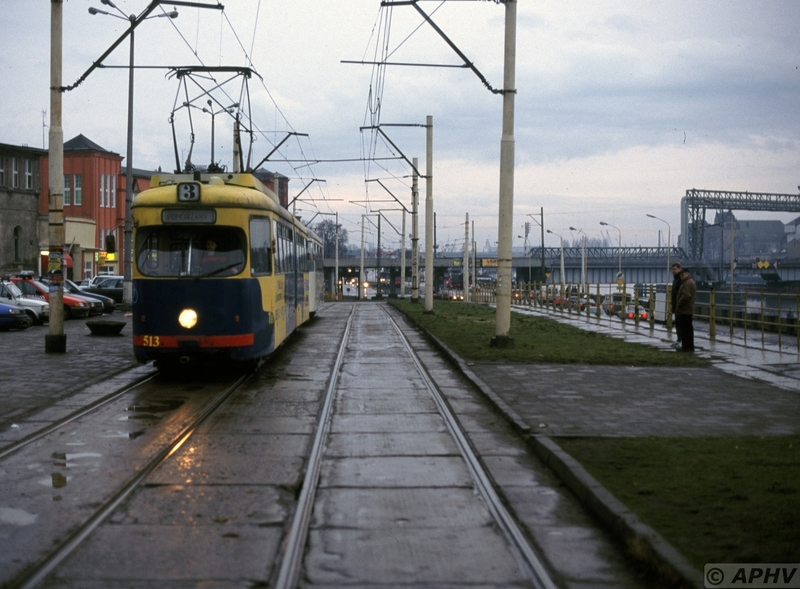 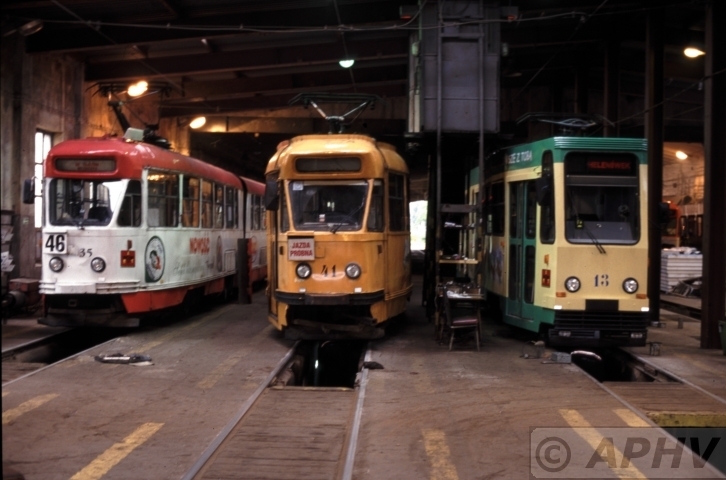 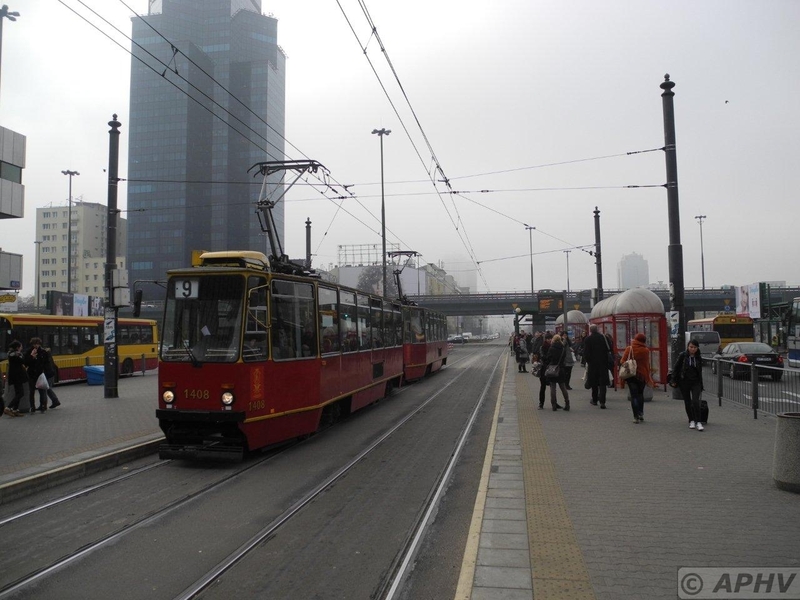 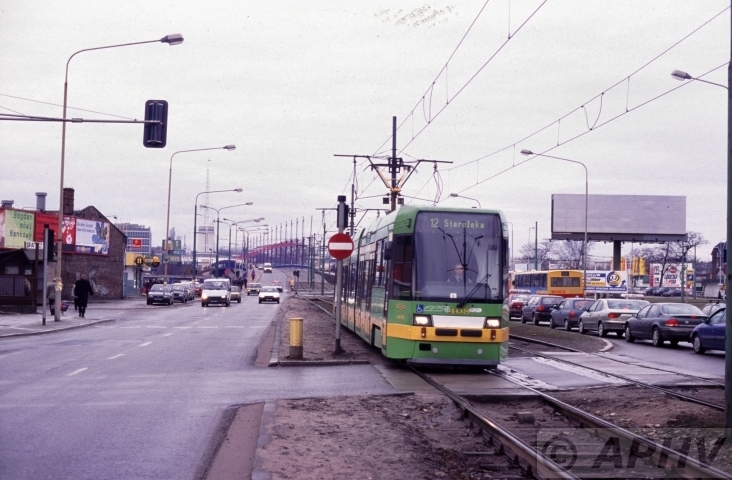 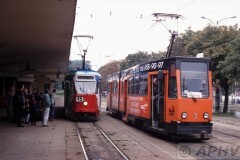 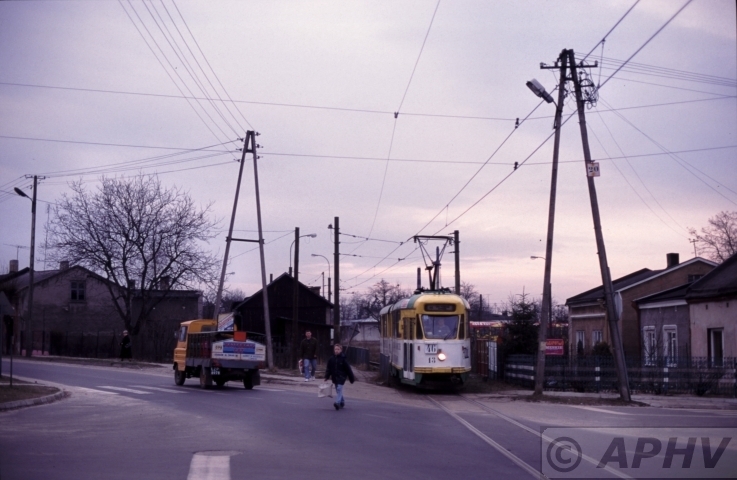 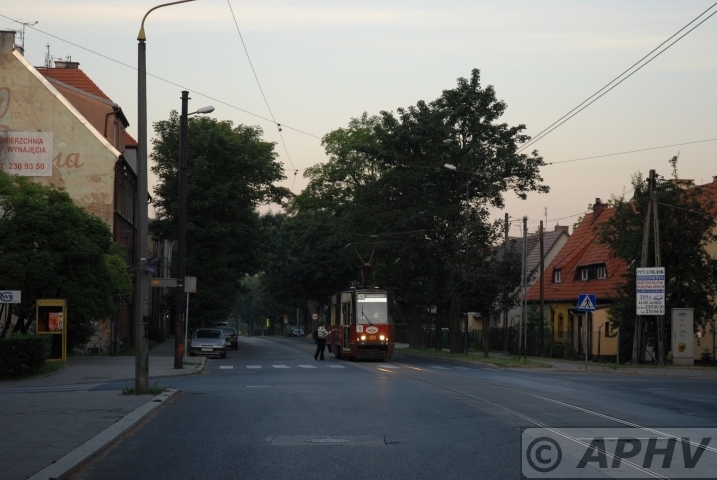 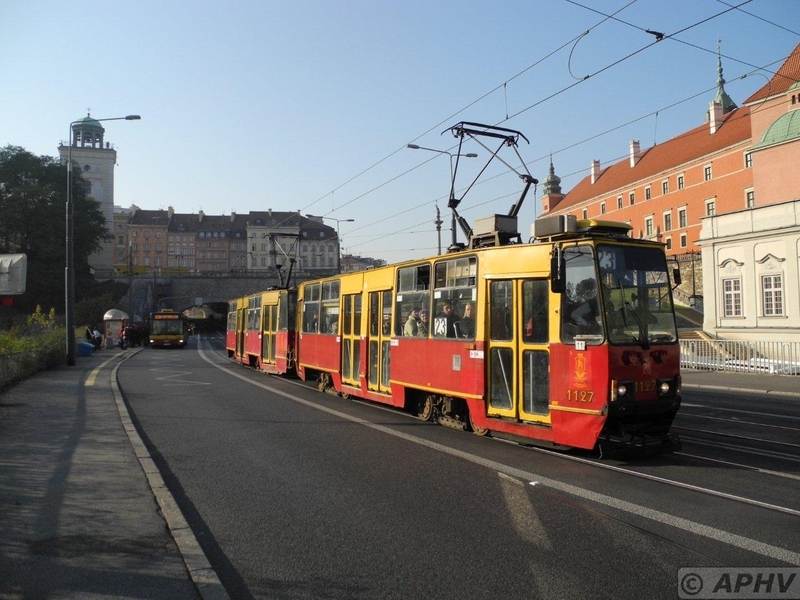 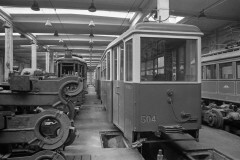 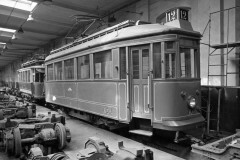 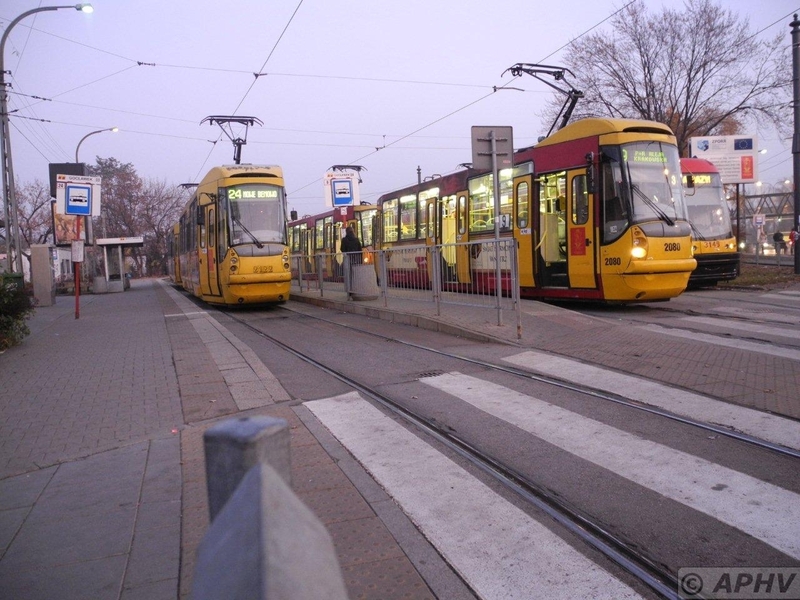 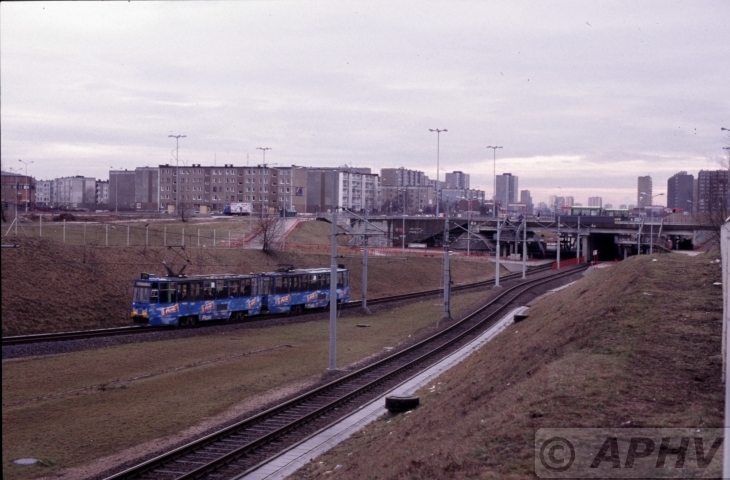 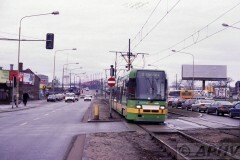 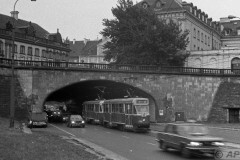 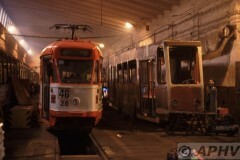 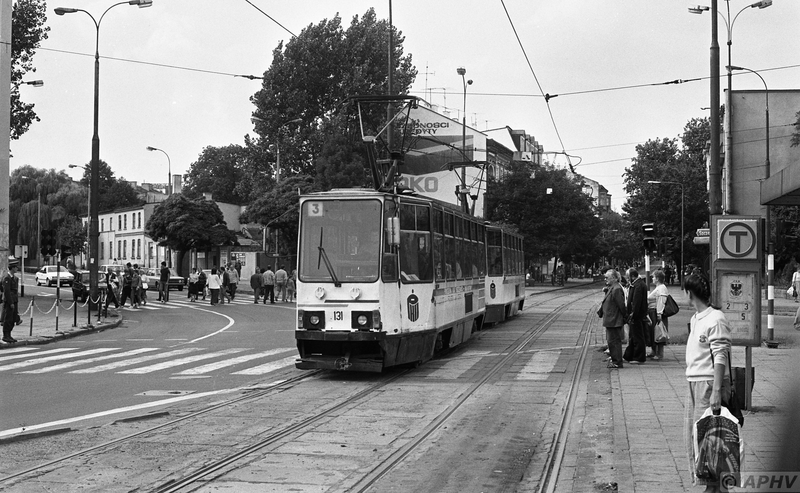 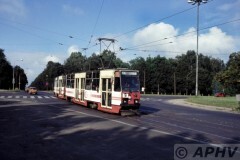 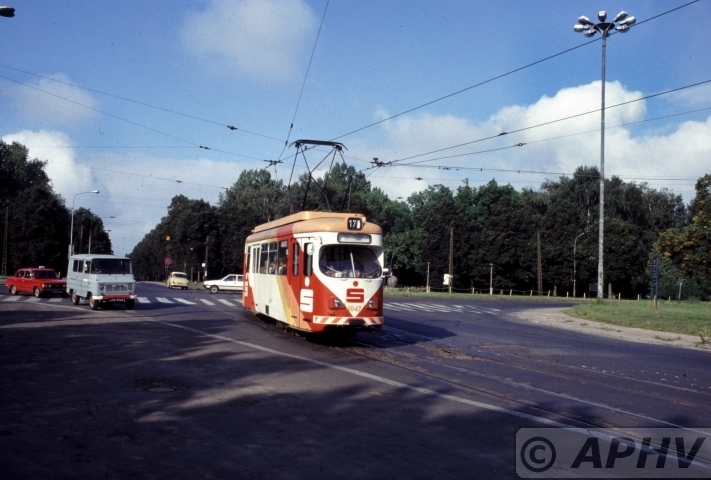 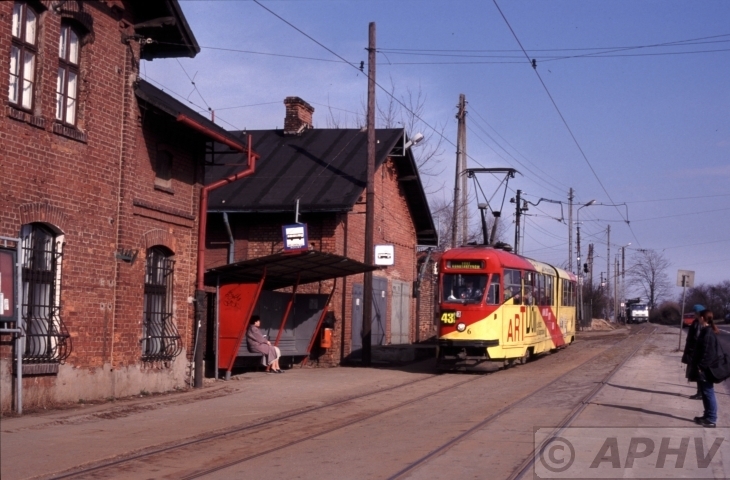 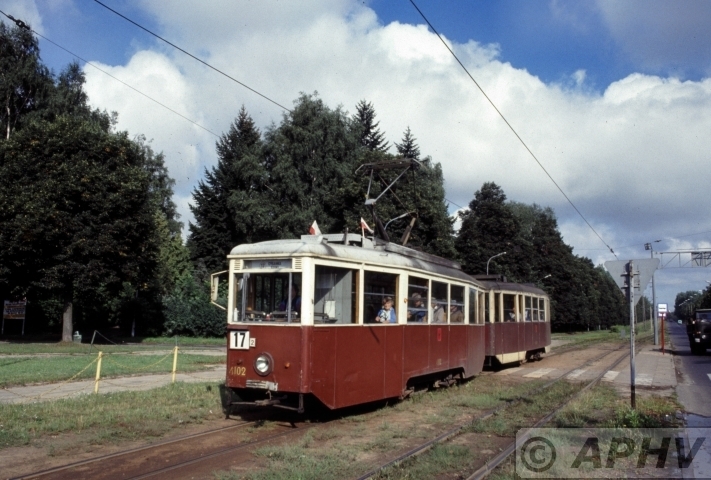 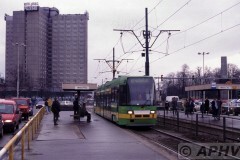 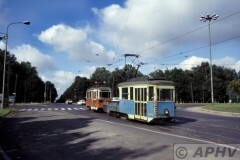 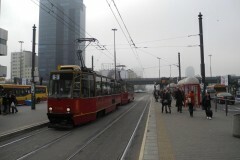 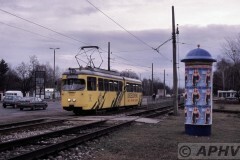 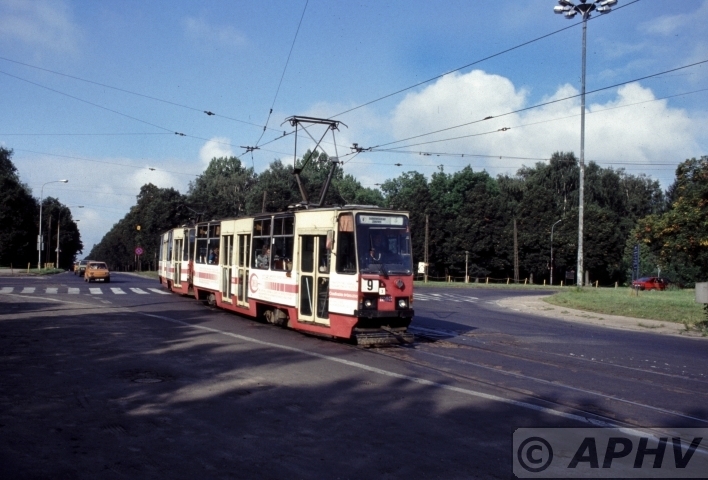 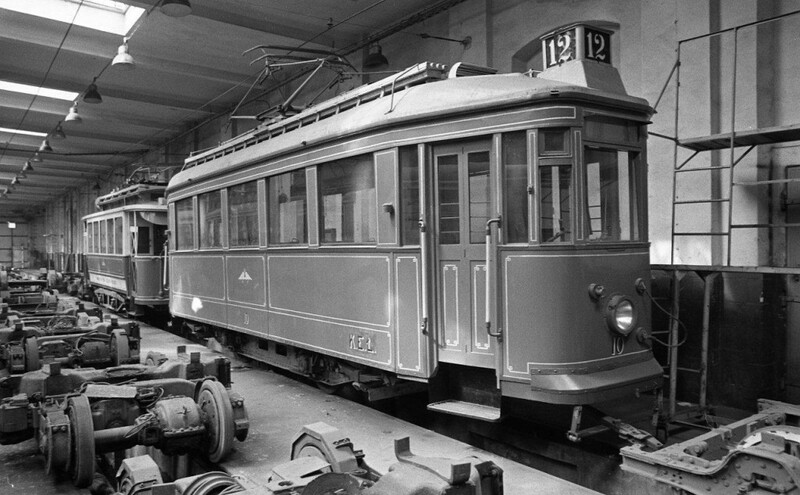 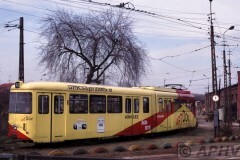 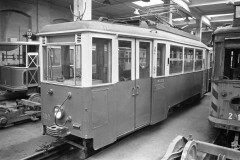 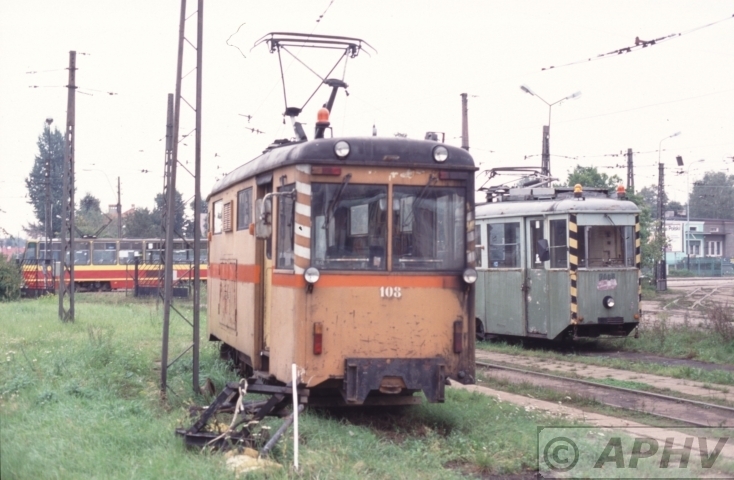 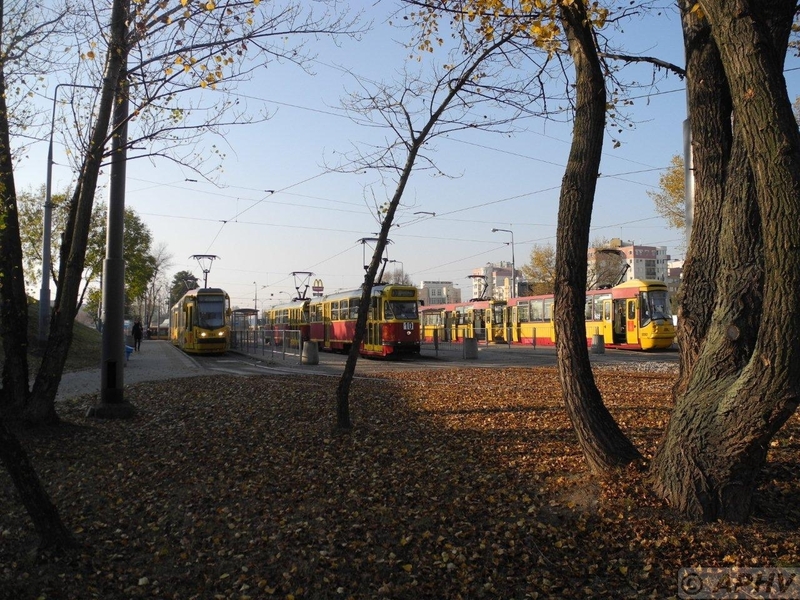 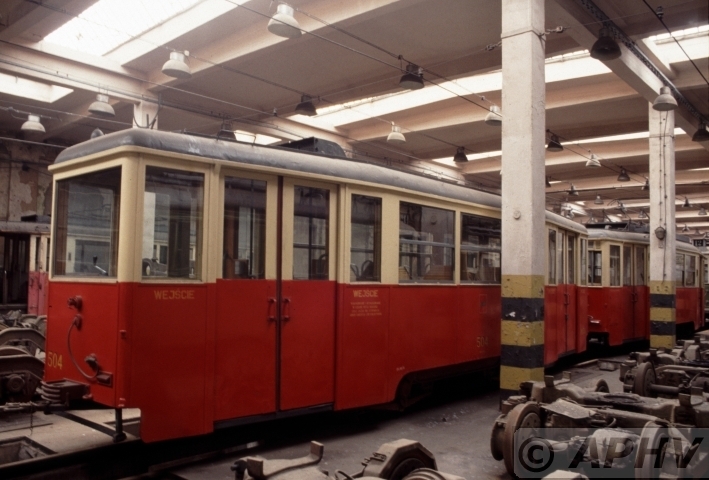 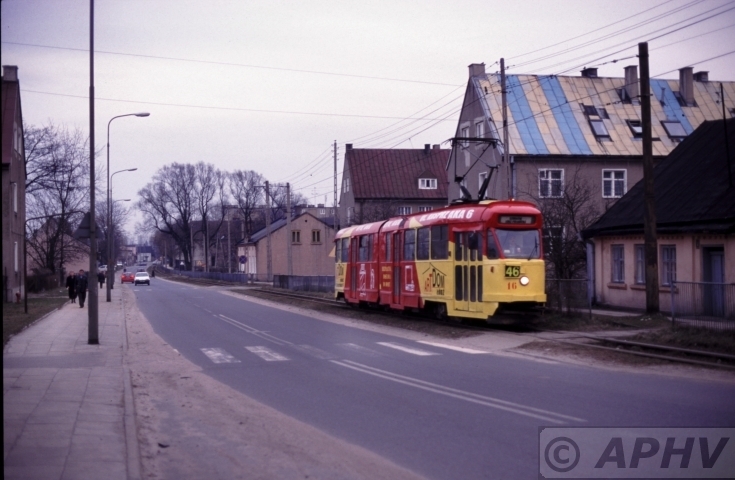 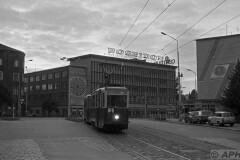 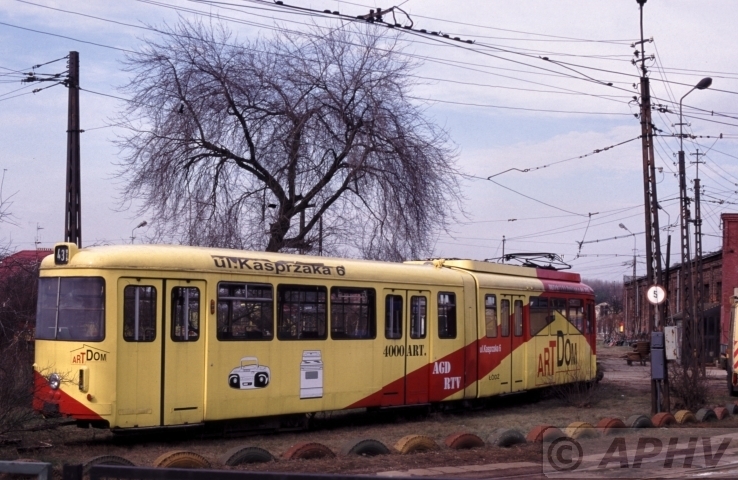 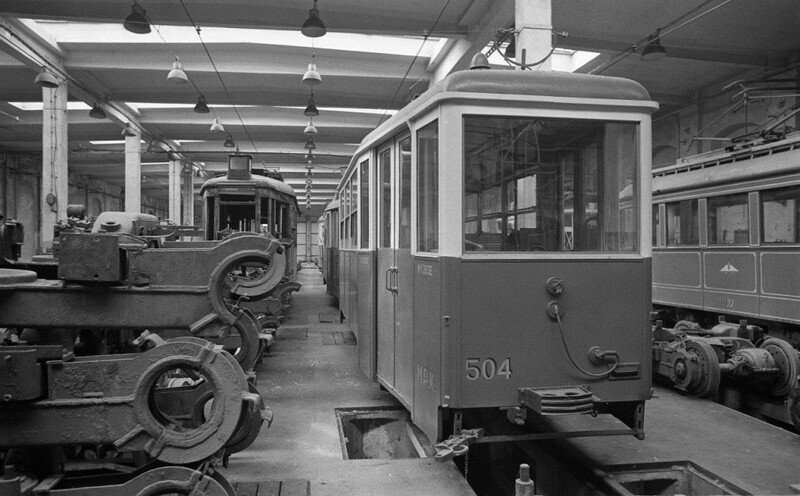 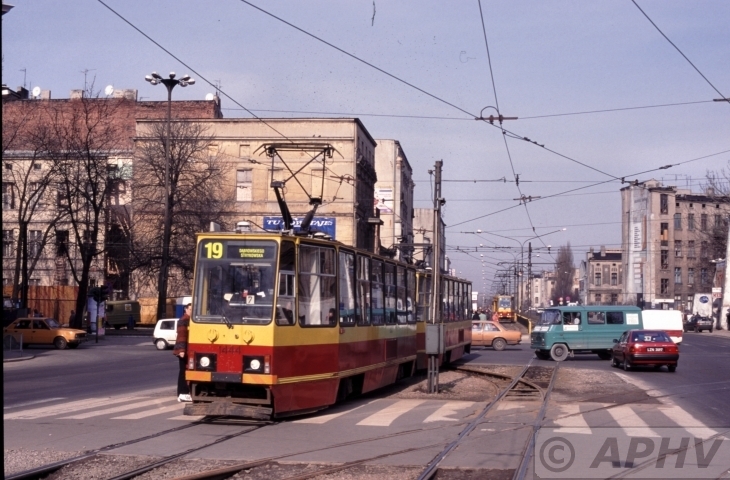 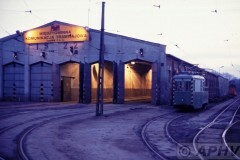 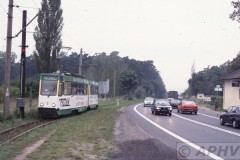 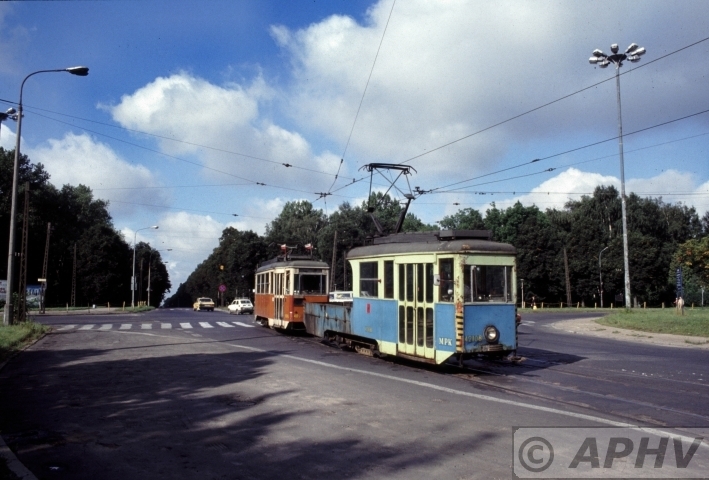 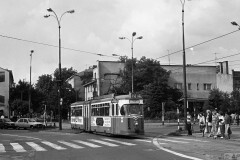 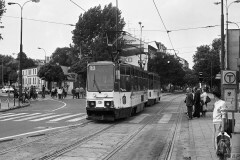 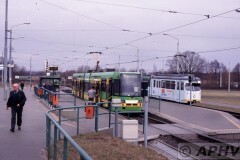 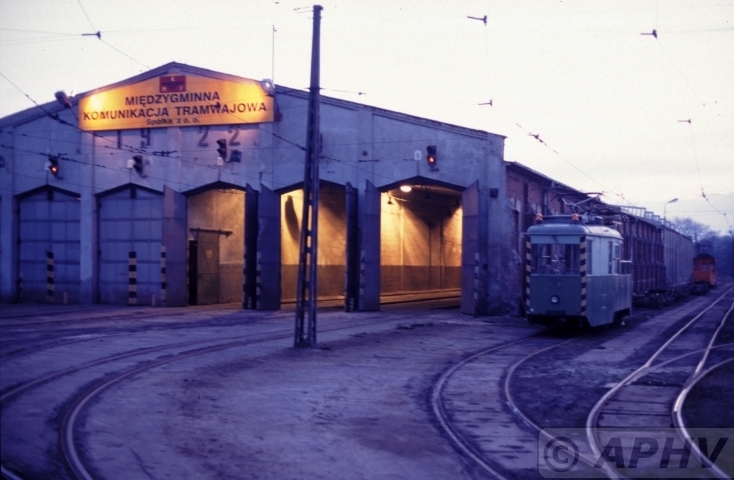 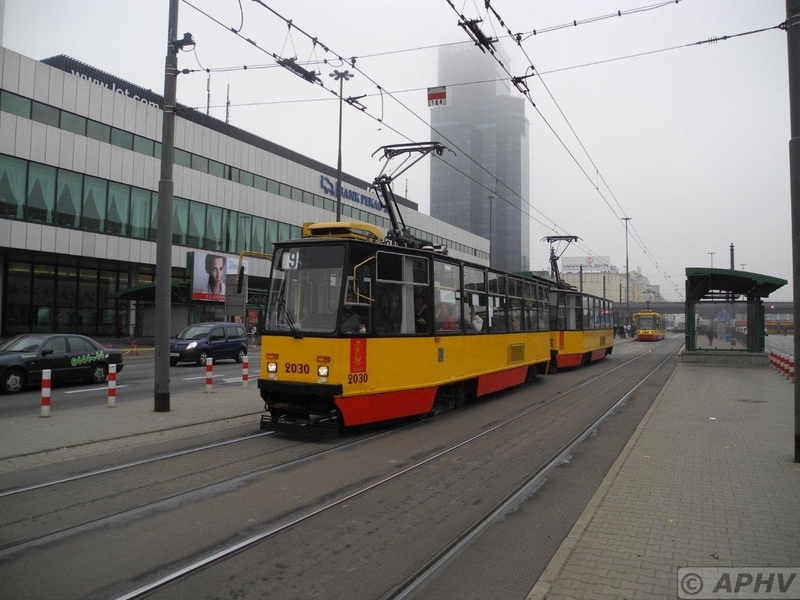 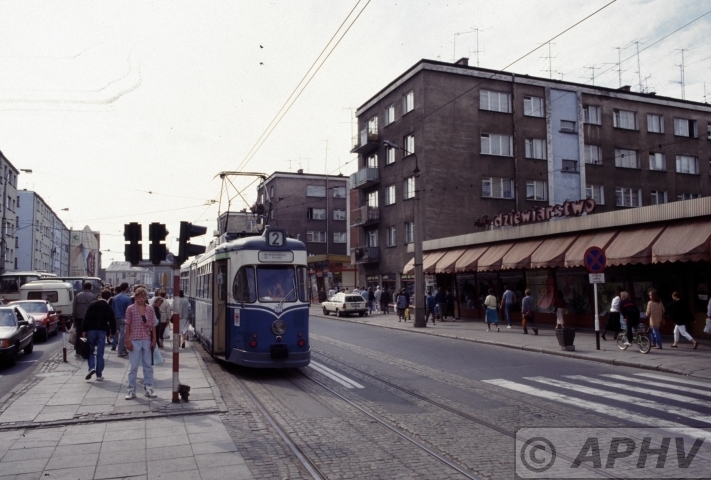 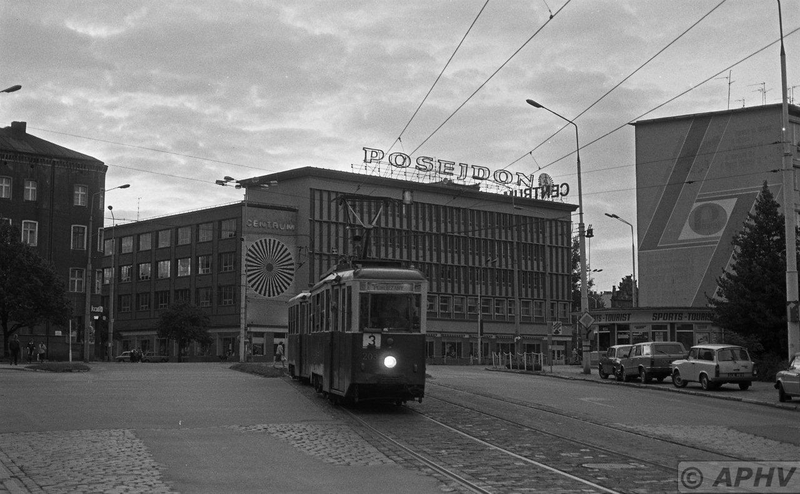 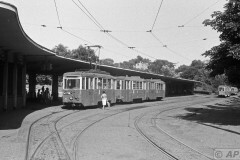 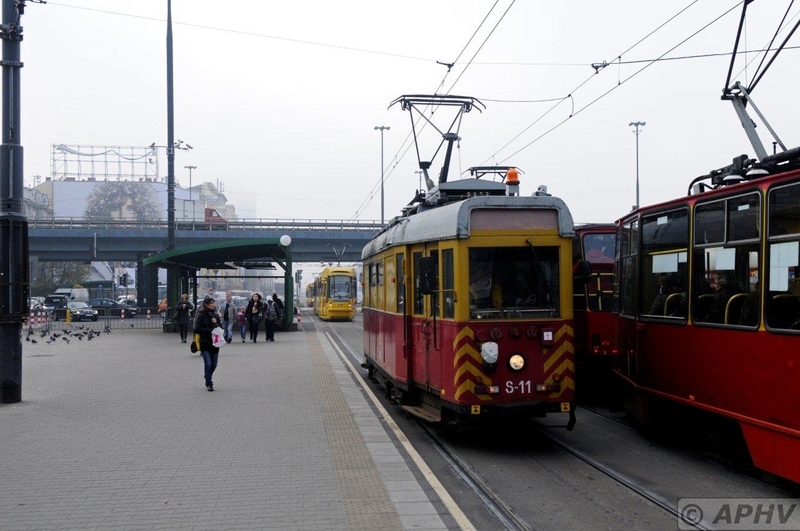 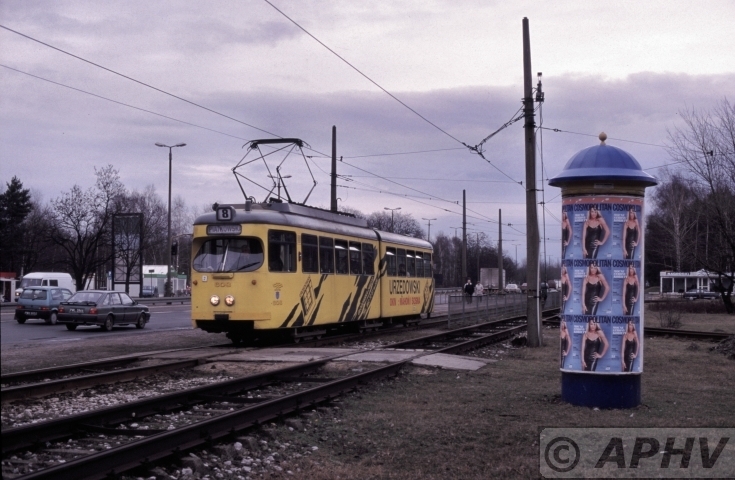 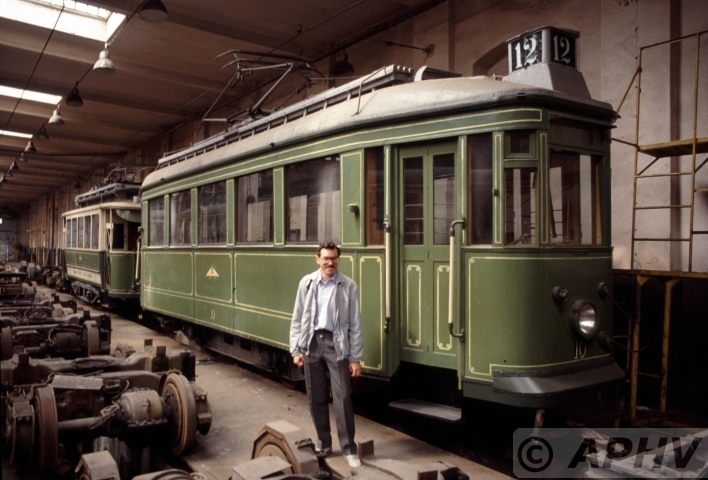 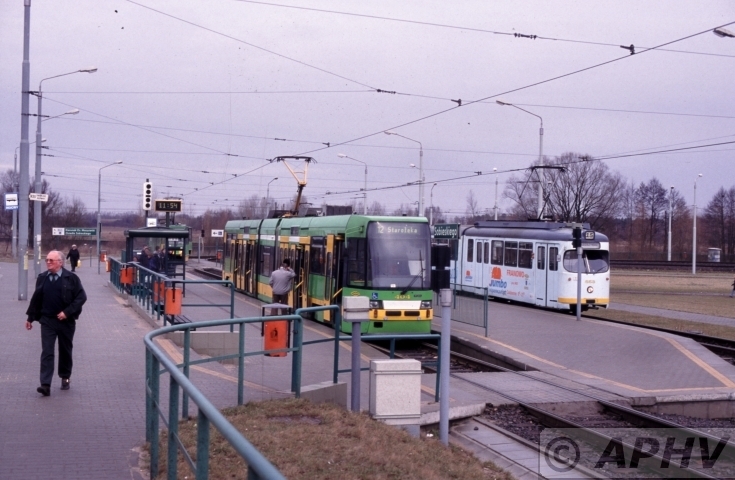 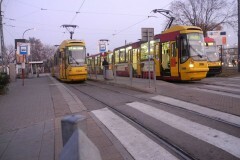 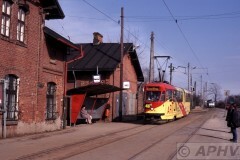 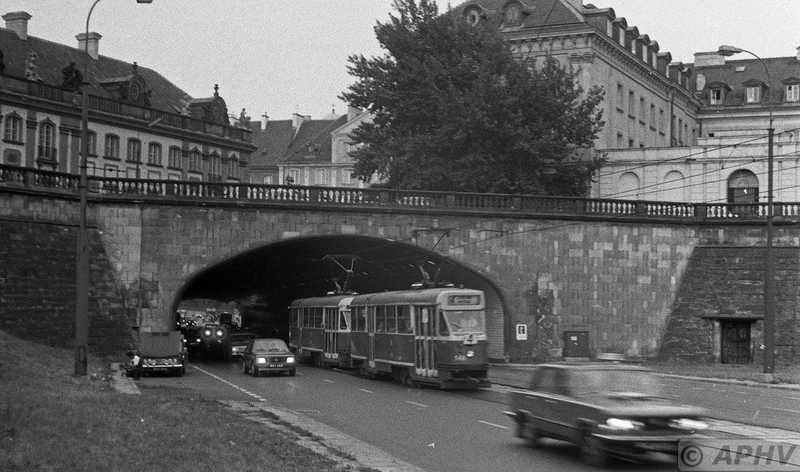 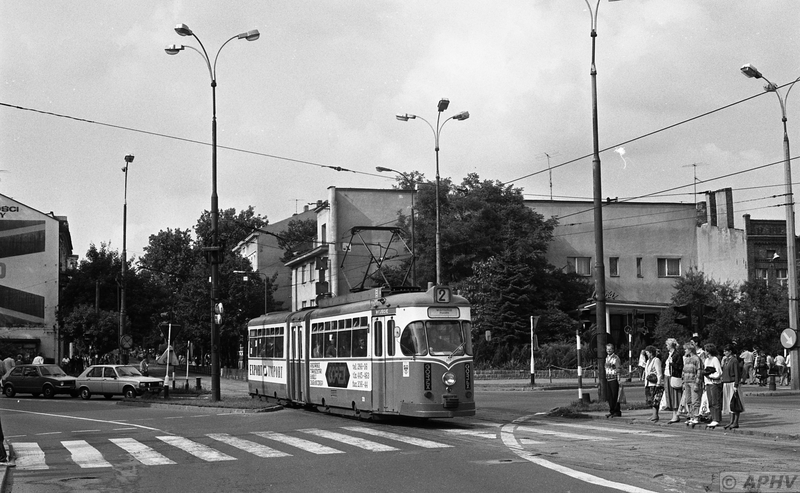 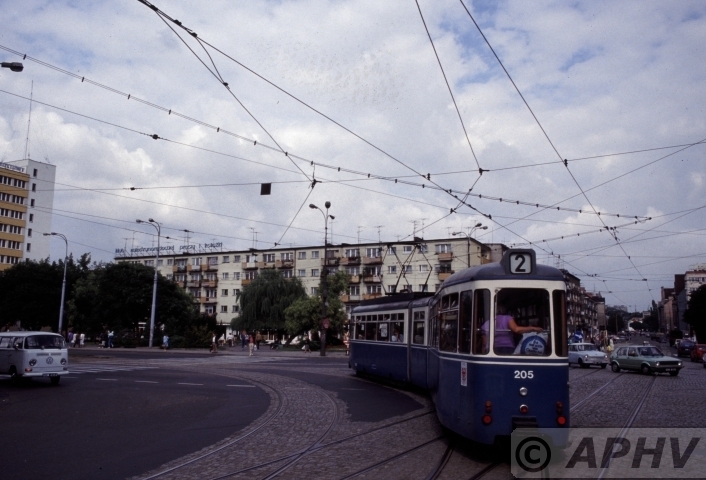 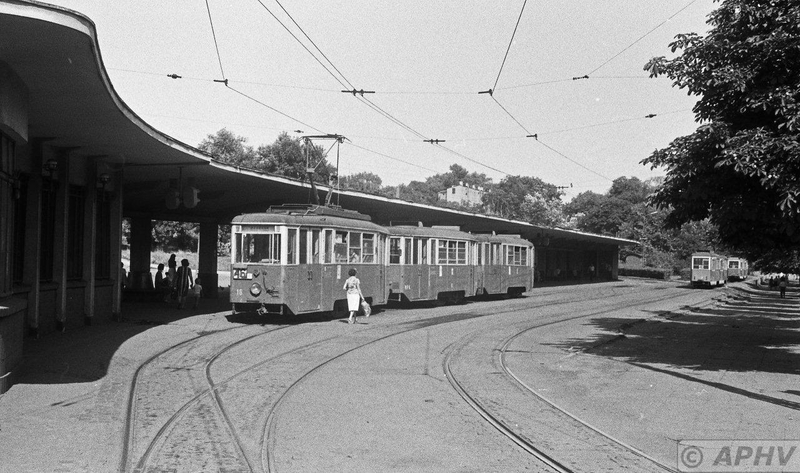 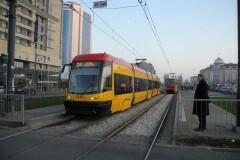 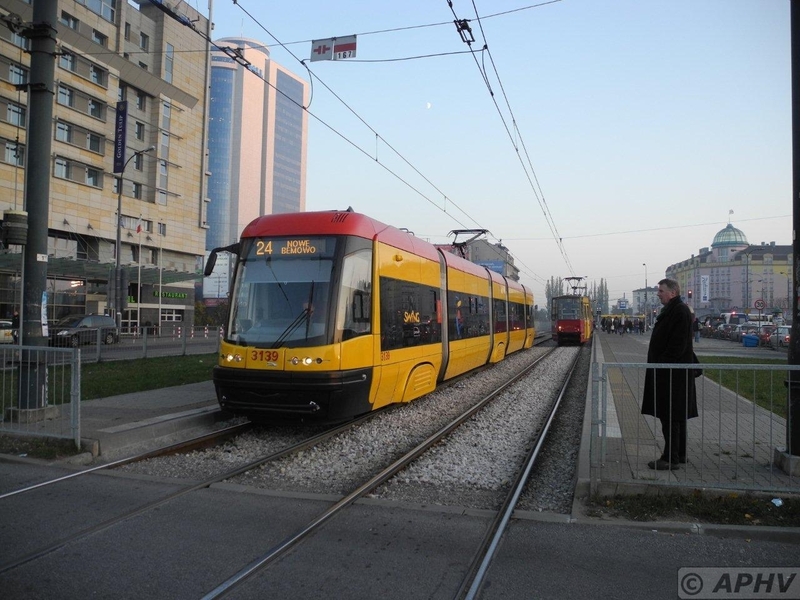 The street is Wyszynskiego and the tram runs on the trackbed off the former narrow gauge line. 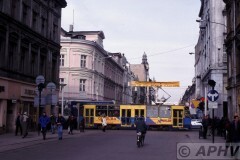 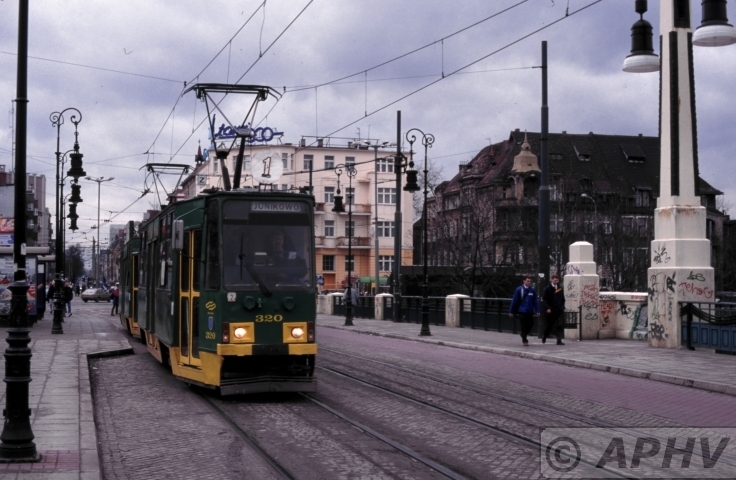 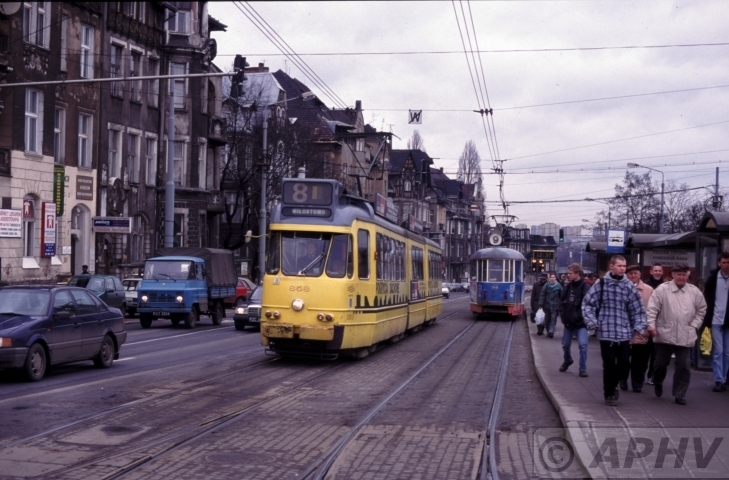 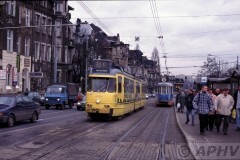 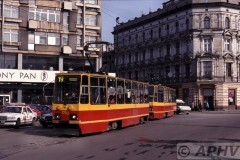 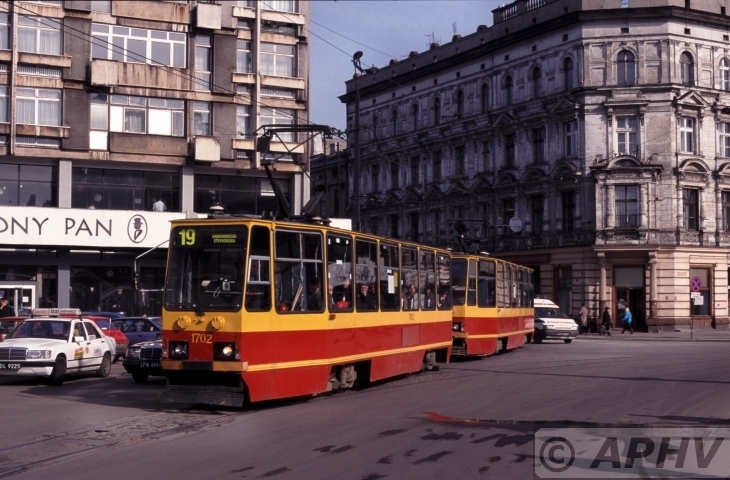 number 1711 crossing the main shopping street in the city 5 March 1999.